Clearly by now you've heard about the whole exploding Galaxy Note7 fiasco. Samsung's thankfully acted incredibly quickly on this one, and a recall has been issued for all units ever sold. In every country (except China, see more below) you'll be able to return your Note7 and get a safe replacement unit. These new devices that don't have the faulty batteries will arrive in most of Europe on September 19, and in Australia on September 21. After those who already have the phone have replaced theirs, new units will go on sale. Now you may be wondering if there's any way to tell which are the newly produced safe units and which are those prone to having their batteries explode. The answer is yes, there is. In every market aside from China (where the faulty batteries were never used, so this was never an issue), if you see the label below on your Galaxy Note7's box, you're clear. 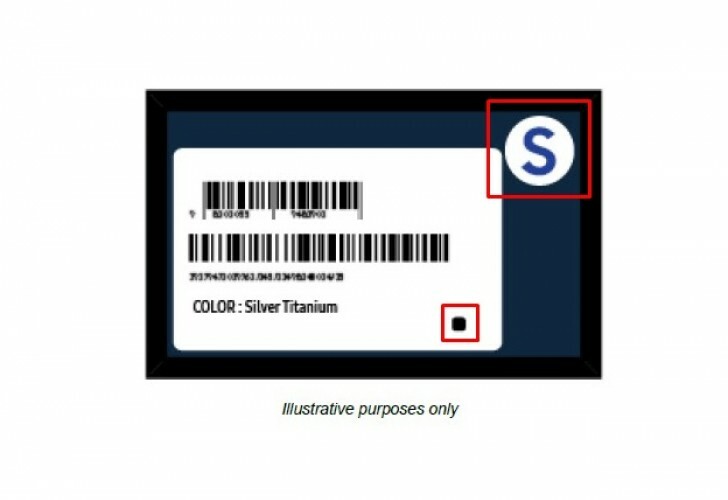 Note the small black square on the barcode label and the big blue "S" - supposedly short for "Safe". Again, if your unit has this label, it's fine. If it doesn't, then make sure you return it as soon as the procedure gets under way in your country. Seriously, don't put this off - you wouldn't want your car destroyed by your phone, would you? If for some reason you don't have your new Note7's box around but still want to be sure it's safe, Samsung will have an online database of IMEI codes up starting on September 13. You can then enter your handset's IMEI into it and it will tell you if you need to worry or not. That's handy, because you can find out your IMEI on your phone, no box required. And if even that somehow doesn't work for you, then Samsung's call centers will be able to help you identify whether you have the safe model. Let's see how long before you lose one, lol.